With breathtaking speed, 23andMe and Celmatix have finished recruiting and enrolling participants in a groundbreaking study on fertility. Launched in February, the study aimed to enroll 4,500 women. It can typically take years to recruit thousands of individuals for a genetic study. However, the team recruited more than 5,000 women in just nine days — an unprecedented rate of enrollment Now, all of the 4,500 women eligible to participate have been successfully genotyped and each have completed the initial background survey. That means this first phase of the study is complete in record time. The research will be the first to study how lifestyle, diet, age, and genetics together impact fertility. 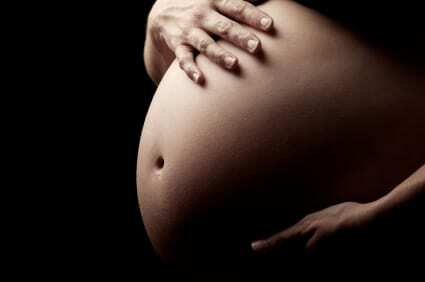 It focuses on women aged 18 to 45, who are actively trying to conceive or who have recently conceived a child. Over the next 18 months, researchers will collect data from participants using periodic surveys to document clinical information, environmental data, and details about diet and lifestyle. At the end of this process, that information will be combined with genetic data and the outcome of the women’s efforts to conceive. The hope is that the research will uncover new insights into what impacts a woman’s ability to get pregnant and deliver a healthy baby. “Insights from this landmark study hold the potential to help any woman, who may want to have a child one day, better understand how her genetics, together with decisions around lifestyle, diet, and reproductive timeline may impact her ability to have a baby,” said Piraye Yurttas Beim, PhD, Founder and CEO of Celmatix, a next-generation women’s health company. The collaboration leverages the strengths of both companies — Celmatix, for its use of data and genomic insights to help women make proactive decisions about their fertility; and 23andMe, for the kind of big-data genetic research that enlists and engages people to participate in important scientific discoveries. Fertility is an important area of science that impacts many people’s lives. According to the Centers for Disease Control and Prevention, one in eight women trying to conceive in the United States will have trouble getting pregnant, and currently, doctors have limited tools to help. The aim of this study is to change this by uncovering findings that can help both women trying to conceive and their doctors. Following a formal announcement of enrollment opening on February 22nd, 2017, 23andMe emailed its database of consented research participants on February 25th, 2017. The email received a much higher open rate than most customer emails, and by March 2nd the enrollment goal had been reached. Just as importantly, roughly 95 percent of the women enrolled have already completed the first online survey.